American brothers, inventors, and aviation pioneers Orville and Wilbur Wright are credited with inventing and building the world's first successful airplane, as well as making the first controlled, powered and sustained heavier-than-air human flight. While they were the first to successfully fly, they are not the first to try to get this idea off the ground. While the dream of flying is as old as mankind itself, the concept of the airplane has only been around for two centuries. Rather than building flying vehicles, people thought to imitate birds, strapping wings onto their arms. It seemed like it should be a good plan; after all, there are plenty of birds in the air to show that the concept does work. The trouble is, not only does works better at bird-scale than it does at the much larger human sizes, but mass of the flier is an issue. Even larger birds have a hidden secret that makes them lightweight enough to fly; unlike humans, birds have hollow bones. People tried to build machines with flapping wings called ornithopters, but again, mass was an issue, so other ways to fly were sought. The first hot air balloon floated into the sky in 1783, and while this type of travel was amusing, navigation was at the mercy of wind direction. Then in 1804, Sir George Cayley created the first glider that flew with a man on board, but gliders were difficult to control and weren’t able to travel long distances. 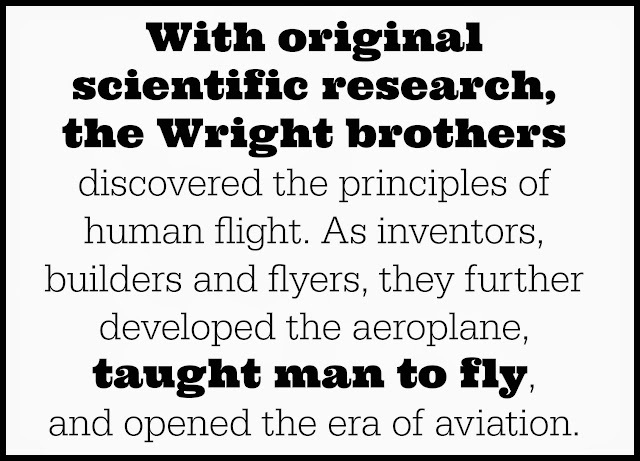 By studying the successes and flaws of each of these concepts, the Wright brothers made the dream of human-operated flight a reality. Orville and Wilbur were two of seven children born to Protestant Bishop Milton Wright and Susan Catherine Koerner. Wilbur was born near Millville, Indiana, in 1867; Orville in Dayton, Ohio, in 1871. Their mother, who spent her youth assisting in her father’s carriage shop and became the family’s toolsmith, became their mentor because she was able to answer just about any engineering-related question the brothers could conceive. While Orville dropped out of high school after his junior year to start a printing business in 1889, Wilbur planned to attend college to further his study of engineering. However, Wilbur’s plans to enter college ended when he was injured in a hockey accident in the winter of 1885. It took him three years to recover his health, during which time he read extensively in his father’s library, assisted his father with legal and church problems, and cared for his invalid mother, who died of tuberculosis in 1889. In 1892, the brothers opened a bicycle sales and repair shop, and by 1896. they began to build bicycles themselves. By 1899, they were successful enough to be able to stop reinvesting in the shop. They took their experience from designing and building lightweight bicycles and the shop’s profits and began experimenting in aeronautics. In interviews, the Wrights dated their fascination with flight to a small helicopter toy their father had gifted them as youths. 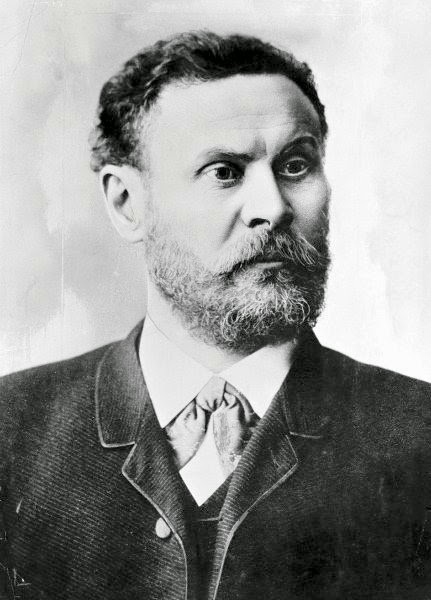 Accounts of German glider pioneer Otto Lilienthal also piqued their interest, but it was news reports of Lilienthal’s death in a glider crash- in August 1896 that marked the beginning of their serious interest in flight. By 1899, the brothers had exhausted the resources of the local library, and wrote to the Smithsonian Institution for suggestions for further study. They wrote to Octave Chanute, a leading civil engineer and an authority on aviation, asking for his aid; he became a great confidant of the brothers during the early years of study. The ability of the Wright brothers to analyze a mechanical problem and move toward a solution was invaluable to their work in aeronautics. The brothers identified three components to a successful flight: wings of sufficient size and shape to generate lift, a propulsion system to move the craft through the air, and a system to control the it during flight. In studying prior aeronautic engineers’ designs, they found two of them fairly well developed. Lilienthal had built wings capable of carrying him in flight, while the builders of self-propelled vehicles were developing lighter and more powerful internal-combustion engines. The final problem to be solved, they concluded, was controlling the aircraft. Their first experiments with “wing warping,” as the system would be called, were made with a small biplane kite flown in Dayton in the summer of 1899. Discovering that they could cause the kite to climb, dive, and bank to the right or left at will, the brothers began to design their first full-scale glider using Lilienthal’s data to calculate the amount of wing surface area required to lift the estimated weight of the machine and pilot in a wind of given velocity. However the brothers soon realized that Dayton, with its relatively low winds and flat terrain, was not the ideal place to conduct aeronautical experiments. The Wrights sent a request to the U.S. Weather Bureau, asking for a list of more suitable areas. From the list in the reply, the brothers selected Kitty Hawk, an isolated village on the Outer Banks of North Carolina. It provided the perfect requirements for aviation experiments. On the island were few inhabitants (less risk of civilian casualty), high average winds, tall dunes from which to glide, and soft sand for landings. 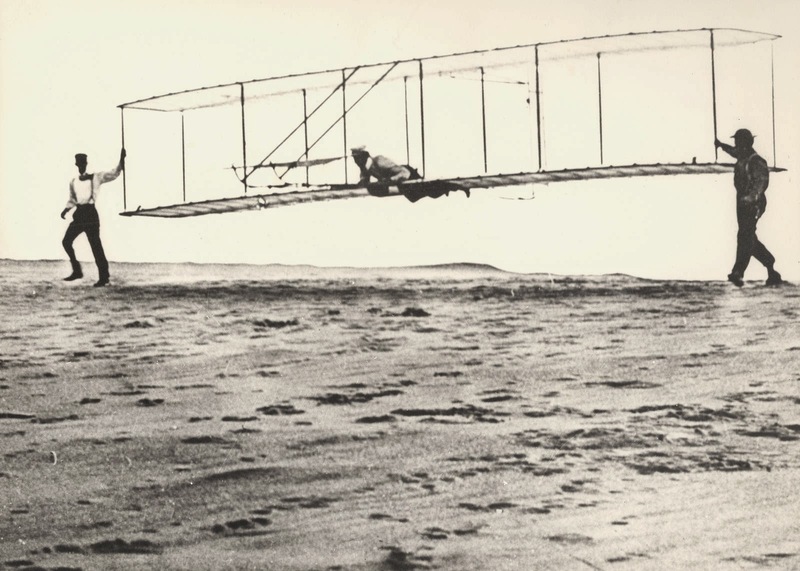 In October, 1900, the Wrights began testing their first biplane glider. 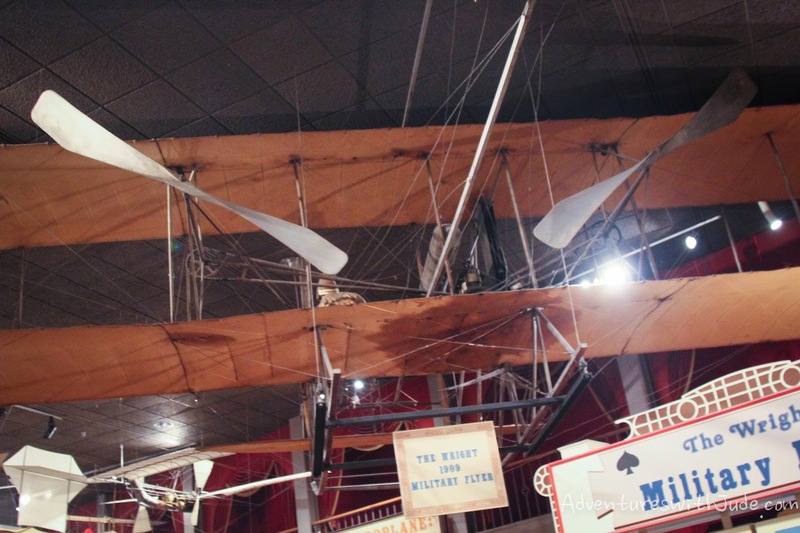 It featured 165 square feet (15 square meters) of wing area, a forward elevator for pitch control, and Wilbur Wright in the cockpit. The glider developed less lift than expected, however, and very few free flights were made with a pilot on board. The brothers ultimately flew the glider as a kite. However, these test flights gathered information that would be critically important in the design of future aircraft. Eager to improve on the disappointing performance of their 1900 glider, the Wrights increased the wing area of their next machine to 290 square feet (26 square meters). Establishing their camp at the foot of the Kill Devil Hills, 4 miles (6.5 km) south of Kitty Hawk, the brothers completed 50 to 100 glides in July and August of 1901. As in 1900, Wilbur made all the glides, the best of which covered nearly 400 feet (120 meters). The 1901 Wright aircraft was an improvement over its predecessor, but it still did not perform as well as their calculations had predicted. Moreover, the experience of 1901 suggested that the problems of control were not fully resolved. In the end, they determined that the failure of their gliders to match calculated performance was the result of errors in the experimental data published by their predecessors. To create new, more accurate calculations, the Wrights constructed a small wind tunnel with which to gather their own information. Even if one refused to acknowledge the brothers’ critical thinking skills, their brilliance was unmistakably obvious in the design of their wind-tunnel balances. These instruments mounted inside the tunnel and actually measured the forces operating on the model wings. During the fall and early winter of 1901, the Wrights tested between 100 and 200 wing designs in their wind tunnel, gathering information on the relative efficiencies and effects of different wing shapes, wing tip designs, and gap sizes between the two wings of a biplane. With the results of the wind-tunnel tests in hand, the brothers began work on their third full-scale glider. They tested the machine at the Kill Devil Hills camp in September and October of 1902. It performed exactly as the design calculations predicted. For the first time, the brothers shared the flying duties, completing over 700 flights. The airplane was finally covering significant distances (up to 622.5 feet), and it remained in the air for as long as 26 seconds! In addition to gaining significant experience in the air, the Wrights were able to complete their control system by adding a movable rudder linked to the wing-warping system. With the major aerodynamic and control problems behind them, the brothers were ready to build a motor-powered flying machine. The Wrights enlisted Charles Taylor, a machinist from the bicycle shop, to help them design and built a four-cylinder internal-combustion engine. Recognizing that propeller blades could be understood as secondary and rotary wings, the group used their wind tunnel data to develop twin pusher propellers. Returning to Kill Devil Hills in late 1903, with the blueprints for the 1902 glider and a motor, they spent the next seven weeks assembling, testing, and repairing their powered machine. Wilbur made the first attempt at powered flight on December 14,1903, but he stalled the aircraft on take-off and damaged the forward section of the machine. Three days were spent making repairs and waiting for the return of good weather. Finally, the morning of December 17, 1903, the brother and five local citizen witnesses were ready. 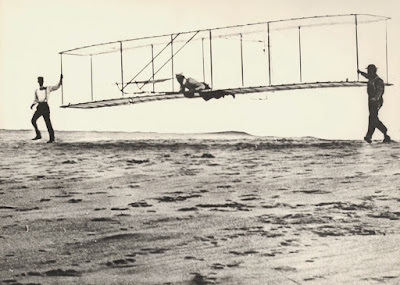 Orville made the first successful flight, covering 120 feet through the air in 12 seconds. Returning to the cockpit, Wilbur flew 175 feet in 12 seconds on his first flight. Each took a second flight that day; Orville’s second effort stayed airborne for 15 seconds and covered 200 feet, but it was Wilbur’s next flight that was most successful. Wilbur’s 59 second flight sailed flew 852 feet over the island. For the first time in history, a heavier-than-air machine had demonstrated powered and sustained flight under the complete control of the pilot. 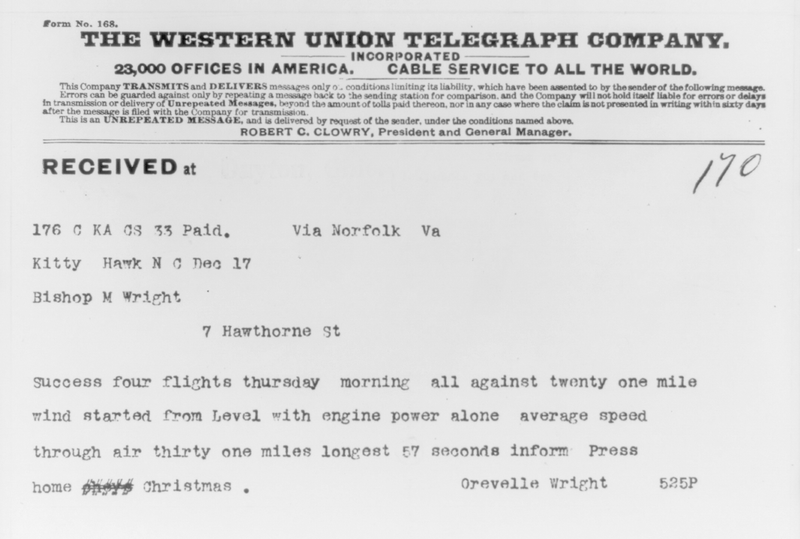 Telegraph from Orville to his father announcing four successful flights. Despite the excitement of those flights, the brothers wanted to build a practical airplane. 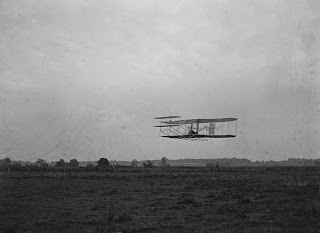 Returning to Huffman Prairie near Dayton, Ohio, the Wrights spent 1904 and 1905 building and testing two new aircraft. After nearly each flight, they tinkered with the planes, gaining skill and confidence in the air with each flight. By October 1905 the brothers could remain aloft for up to 39 minutes at a time, performing circles and other maneuvers. No longer able to hide the extent of their success from the press, and concerned that the essential features of their machine would be understood and copied by knowledgeable observers, the Wrights decided to cease flying and remain on the ground until their invention was protected by patents and they had negotiated a contract for its sale. With this now near-complete blackout, few believed in the Wright brothers’ success. 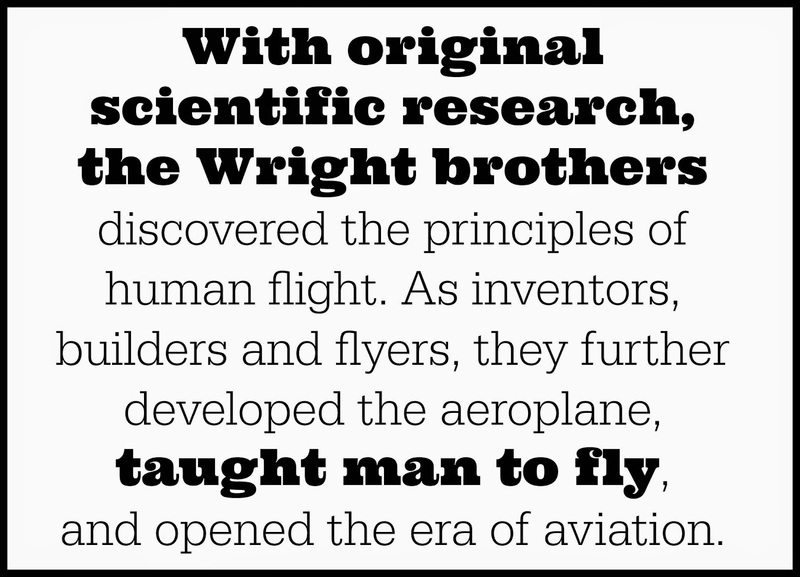 During 1906 and 1907, a handful of European and American pioneers, armed with incomplete understandings of the Wrights’ research, struggled into the air. Meanwhile the brothers, confident that they retained a commanding lead over their rivals, continued to quietly negotiate with financiers and government purchasing agents on two continents. In February 1908, the Wrights triumphantly signed a contract with the U.S. Army. They would receive $25,000 for delivering a machine capable of flying for at least one hour with a pilot and passenger at an average speed of 40 miles per hour. The following month, they signed a second agreement with a group of French investors interested in building and selling Wright machines under license. Returning to Kill Devil Hills in May 1908, they made 22 flights with their old 1905 machine, and modified it with upright seating and hand controls. On May 14, 1908, Wilbur took off with mechanic Charles Furnas as his first passenger. He then sailed to France. There he made his first public flight, flying over the Hunaudières Race Course near Le Mans, France on August 8, 1908. During the months that followed, the elite of the continent traveled to France and Italy to watch Wilbur fly. Back in Fort Myer, Virginia, Orville began the U.S. Army trials with a flight on September 3, 1908. Two weeks later, later a split propeller caused a crash that badly injured the piloting Orville and killed passenger Lieutenant Thomas E. Selfridge. While recovering, Orville and his sister Katharine visited Wilbur in Europe. Together, the brothers returned to Fort Myer to complete the Army trials in 1909. Because this craft could exceed the the required speed of 40 miles per hour, the Wrights earned a bonus of $5,000. Following the successful Fort Myer trials, Orville traveled to Germany, where he flew at Berlin and Potsdam, while Wilbur made several important flights as part of New York City’s Hudson-Fulton Celebration. Wilbur then went to College Park, Maryland, where he trained the first three U.S. Army pilots. In November 1909, the Wright Company was incorporated. Wilbur served as president, Orville as one of two vice presidents, and the a board of trustees included some of the leaders of American business. The Wright Company established a factory in Dayton and an airfield at Huffman Prairie to train pilots. Among the Army pilots trained at the facility was Henry H. (“Hap”) Arnold, who would rise to command of the U.S. Army Air Forces during World War II. The brothers also formed the Wright Exhibition Company in March 1910, with A. Roy Knabenshue, an experienced balloon and airship pilot, as manager. Although the Wrights were not particularly interested in this sort of venture, they recognized that an exhibition team would generate a steady supplemental revenues. 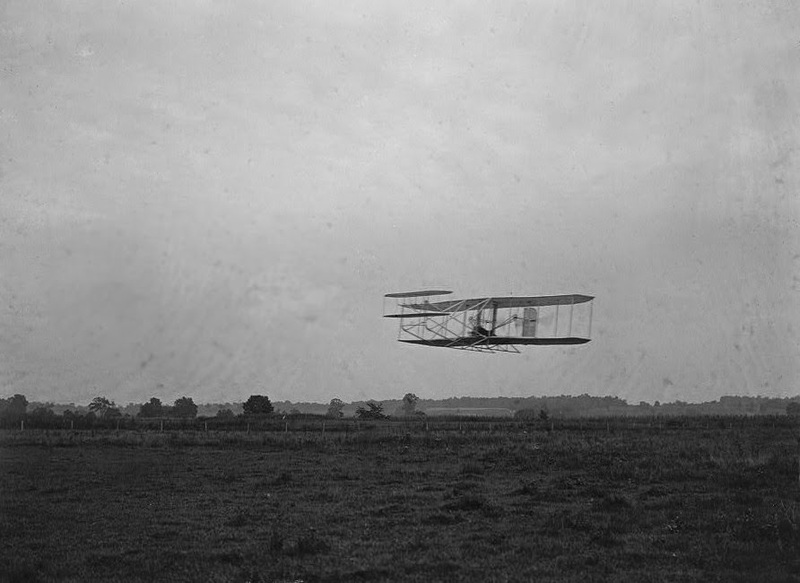 Orville began training pilots for the exhibition team at Montgomery, Alabama, and continued instruction at Huffman Prairie. The exhibition company made its first appearance at Indianapolis in June, 1910. However, the death of several team members in the first year of business underscored the risk in this venture, and the brothers decided to dissolve the second company in November, 1911. Despite their brilliance, the brothers’ success was tempered by intellectual property theft. While Orville took over training pilots in 1909, Wilbur turned his energy to the legal end of the business. He brought a series of lawsuits against rival aircraft builders whom the brothers believed had infringed upon their patent rights in the United States and Europe. In Germany, the Wright claims were denied. The position of the Wright brothers was upheld in virtually every court judgment in France and America, but the defendants manipulated the legal process to avoid being forced into substantial payments. (Many of them likely had attorneys who studied case law that included how farmers skirted patent rights held by American engineer Eli Whitney.) In addition to the financial burden these suits caused, the Wrights’ spirited defense of their patents complicated their public image. Once inaccurately regarded as a pair of naive mechanical geniuses, they were now unfairly blamed for having retarded the advance of flight technology by bringing suit against other talented experimenters. Eventually, lawsuits regarding the Wrights’ patents ended; by 1917, the Wright patents expired in France and the U.S. government created a patent pool in the interest of national defense. Exhausted by business and legal concerns and suffering from typhoid fever, Wilbur died on May 30, 1912. Although Wilbur had drawn Orville into aeronautics, he had taken the lead in business matters since 1905. Upon his brother’s death, Orville assumed leadership of the Wright Company, and won the 1913 Collier Trophy for his work on an automatic stabilizer for aircraft. He remained active in the company until 1915, when he sold his interest to a group of financiers. One of the first legacies of the Wrights’ work was realized during World War I, when Orville worked as a consulting engineer. The Dayton-Wright Company planned production of foreign aircraft designs, and assisted in the development of a pilotless aircraft bomb, changing how it and all future wars would be fought. On January 27, 1948, Orville suffered a heart attack and died three days later in a Dayton hospital. 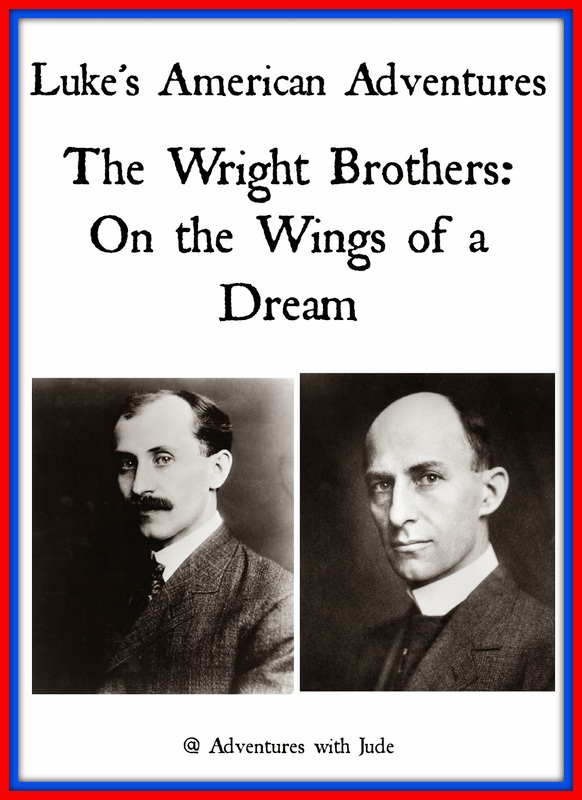 Brothers Wilbur and Orville Wright are arguably spokesmen for the idea of the blue collar American. Considered the fathers of modern aviation, these national heroes took the concept of dream of human flight and made it soar.